In this 3h hands-on workshop, the makers of vvvv, will introduce you to their new visual programming language VL, which they've been working on for the past years. 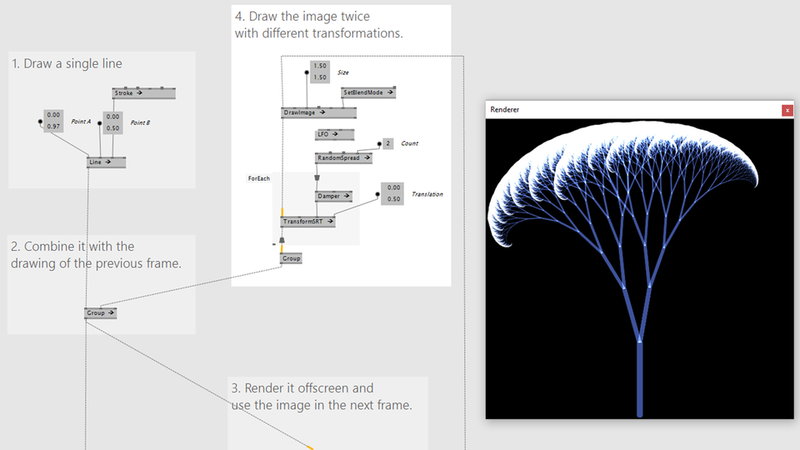 It is targeted at artists, designers and programmers who prefer a more visual approach to programming. They'll show you how, with just a few clicks, to create complex, interactive graphics and save snapshots as a .pdf without writing a single line of code. Or how to achieve advanced computer-vision tasks, like face-tracking, again within just a few minutes of using VL. Please bring a laptop running Windows 10 and a 3-button mouse. This workshop will also be held from 10:00 - 13:00.